Lab-on-a-chip and Microfluidics Europe is celebrating its 10th congress! Organized by SelectBio Science, the congress brings together researchers and industry participants from both academia and industry focusing on technology and innovation in the Lab-on-a-Chip (LOAC) and Microfluidics fields. It became now a standard in microfluidic conference covering a wide range of subjects. After participating in the first edition last summer, BlackHole Lab will be part of the second edition of this summer school organized by the FEUP (Faculty of Engineering of the University of Porto). If you want to subscribe to the summer school or get more information, you can go there. The conference has a track record in bringing together Micro/Nano Science and Industry in an international context. 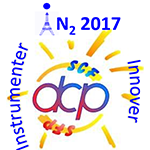 The main topics this year are: Microfluidics & Analytical Systems, Fabrication & Characterization at the Nanoscale and Organ-on-a-Chip. It’s the 21st International Conference on Miniaturized Systems for Chemistry an Life Sciences. 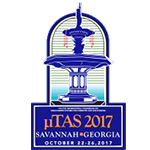 Anticipating more than 900 worldwide scientific, Micro TAS remains the biggest microfluidic conference of the year. Don’t miss it! 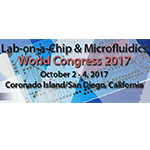 Lab On A Chip Wold Congress will stand, as many years now, in San Diego. It will deal with the main microfluidic issues and especially on the point of care and organ on a chip subject. 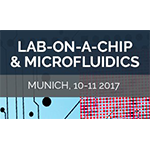 Lab on a chip Europe organized by SelectBio Science became now as a standard in microfluidic conference covering a wide range of subjects. BlackHole Lab will be part of the first edition of this summer school organized by the FEUP (Faculty of Engineering of the University of Porto). The programme is available here. If you want to get more information, you can go there. 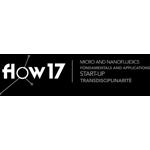 It’s the second edition of FLow17, strong from the success of the first edition, Flow 17 offer the possibility at the community to meet and exchange on microfluidics purpose. A french conference on the transition between research and industrialization. Because laboratories and companies have a lot to win working together, such conference it’s a great opportunity to create link and partnership.